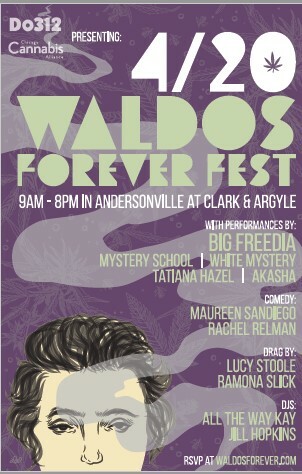 If you're wondering where Waldo is this weekend, he along with many other Waldos will probably be at the Waldos Forever Fest on April 20 near Dispensary33 at 5001 N. Clark St. in Chicago. For the second year, Do312 is organizing the event, with the Chicago Cannabis Alliance being the co-sponsor of the event. The festival will run from 9 a.m. to 8 p.m. and the event is free to those who RSVP at do312.com/waldosforeverfest. 4/20 is slang in cannabis culture for the consumption of cannabis, especially smoking cannabis around the time 4:20 p.m. The festival will feature a variety of entertainment, including headliner Big Freedia, known as the Queen of Bounce. 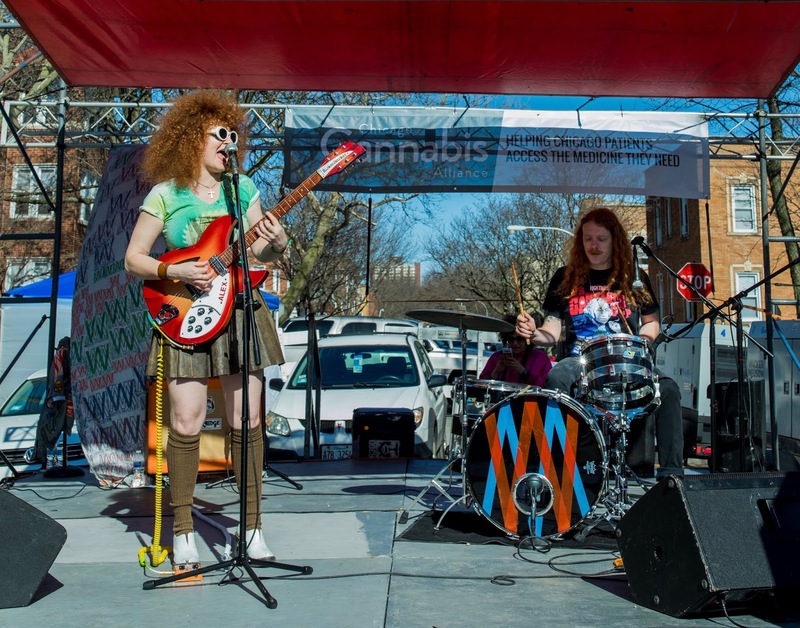 Chicago acts Tatiana Hazel, Air Credits, White Mystery and Akasha will also perform. The festival will also feature DJ and comedy sets and drag performances. 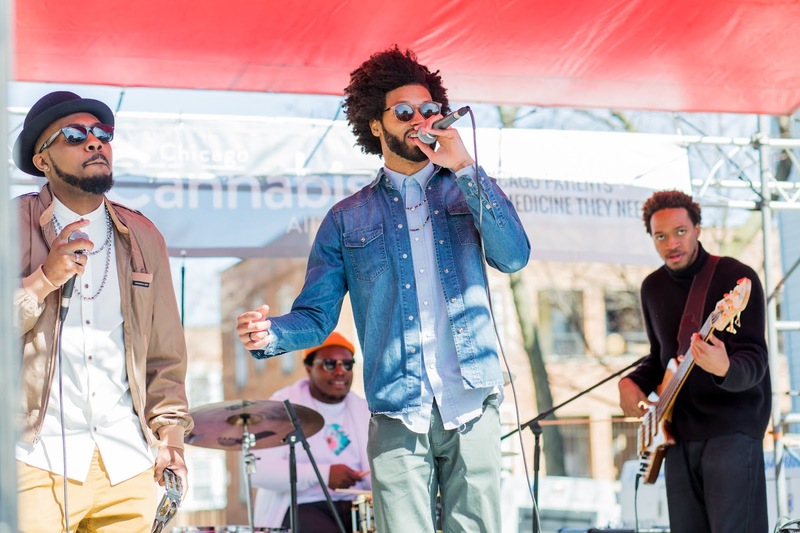 Chicago-based Verano, will be sponsoring The Chill Lounge, a relaxed setting outside of Dispensary33 where festival-goers can take a break from being on their feet and enjoy some free swag and other perks. I had the chance to talk to Scott Cramer, founder of Do312 and Richard Park, a member of the board of directors for Chicago Cannabis Alliance, about the festival. Q – Great talking to you. This is the second year of the Waldos Forever Fest. What was your vision for putting on the festival in the first place? Richard: The Chicago Cannabis Alliance, a non-profit dedicated to educating people about qualifying conditions to receive a medical cannabis card in Illinois and helping Chicago patients access the medicine they need, saw legalization of cannabis in Illinois as an opportunity to destigmatize cannabis by educating people about it. We partnered with Do312 to create the event in a streetfest format that Chicagoans love. The premise is a the celebration of cannabis culture and all the benefits of cannabis that we can now share openly. Q - Did last year's festival meet your expectations and what are your expectations for this year's festival? For those who are attending the festival for the first time this year, what should they expect? Scott: Yes. In our first official Waldos Forever Fest, we had approximately 1,500 attendees. This year we are expecting 3,500 to 4,000 attendees. Chicago is famous for its street fests and we believe Waldos Forever is very much in this tradition, but with a unique cannabis-themed flair. Richard: Ironically, this is a 4/20 celebration where cannabis cannot be consumed on site, but we want to share information about cannabis, unite cannabis fans to celebrate advancements in legalization and destigmatize it. Major cannabis cultivation companies are rolling out the “green” carpet with Cresco Labs’ lush green entrance giving way to the high energy music sets crossing rap, bounce, hip hop and more genres, outrageous comedy and drag acts interspersed with trips down memory lane with the Grassroots Gaming Tent with vintage video arcade, and the Verano Chill Lounge, complete with a larger than life walk-in igloo. Vendor booths will run the gamut of providing information regarding every aspect of cannabis and specific products to offering clothing and accessories sure to appeal to cannabis fans. The festive atmosphere wouldn’t be complete without lots of munchies in the Food Truck court and giveaways of swag throughout the day. Q – This year's festival seems to feature a pretty diverse lineup of artists. How did you go about planning this year's lineup? Scott: Booking the acts is based around being as intersectional and eclectic as possible. We want to make sure that all the artists we select really “get” cannabis culture. We don’t pay attention to whether they are underground or mainstream, but instead look at whether they are entertaining and represent the full spectrum of cannabis users. Q – There also will be other entertainment as well, including comedy sets, drag performances and DJ sets. Were you trying to have something for everyone attending the festival? Scott: Yes. Cannabis cuts across all demographics, cultures and political and sexual orientations so we looked to showcase an intriguing, playful mix that will entertain everyone. Q – What do you hope people will get out of the festival? Richard: For those already using cannabis, it is a time to share stories about their favorite products and what it has done for them, as well as celebrate how far we have come in the battle for legalization. For those curious or new to cannabis, it provides an open, welcoming environment to explore and get answers to all the questions they might have about using cannabis and dispel some of the falsehoods perpetrated by society under prohibition. Ultimately, this is an event where people from all walks of life can set aside their differences and come together to learn about and celebrate all that is good about cannabis. Q – Do you anticipate the festival will grow every year and will become as much of a tradition as Taste of Chicago or the Chicago Blues Festival? Scott: Chicago is in its infancy for 4/20 festivals compared to some other areas. With pending legalization of cannabis around the world, we see it becoming more of a national or international festival – perhaps on the scale of Halloween, St. Patrick’s Day or New Year’s Day, where the celebration grows to cross geographic and cultural boundaries and provide an outlet for expression for everyone who wants to join the fun. 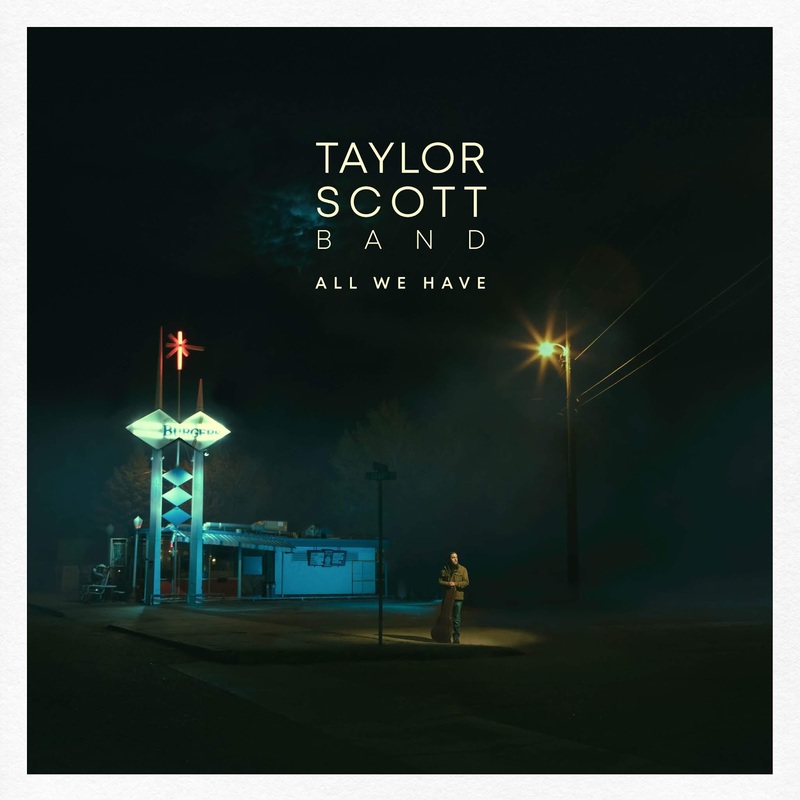 Taylor Scott's electrifying guitar playing and soulful vocals have garnered him wide acclaim. It shouldn't be a surprise then that Steve Berlin, of the band Los Lobos, would want to produce the Taylor Scott Band's new album, "All We Have," which also features an appearance by Los Lonely Boys member Henry Garza. The band will perform April 9 at The Bassment, 353 W. Hubbard St. lower level, Chicago, as part of an album release party for "All We Have." The show starts at 9 p.m. and tickets are free at eventbrite.com. I had the chance to talk to Scott about the new album. Q – In sitting down to make "All We Have," what were your goals and do you think you accomplished them? We wanted to really give people a portion of what we do, the kinds of ins and outs of our music, which is coming from a lot of different places all at the same time. When I sat down with Steve Berlin, who produced it, we just decided to kind of throw out the window anything we had done before and just pick the best tunes I had written. We just tried to get the best collection of songs that best represented who I am. And I think we did. The record is pretty diverse. There's a lot of different flavors on there coming from different places. Steve did a great job pulling all that together through his lens. It's just a great initial profile of sort of our musical personality, you know? Q – So it kind of reflects where you are at these days musically. Yeah. There's so many different influences that sometimes it can be hard for us to all draw into one thing. But I think on this record, we did that well, especially with the help of Steve on the producing side. It feels like one full statement even though there's all these different sounds on it. I'm proud of that. 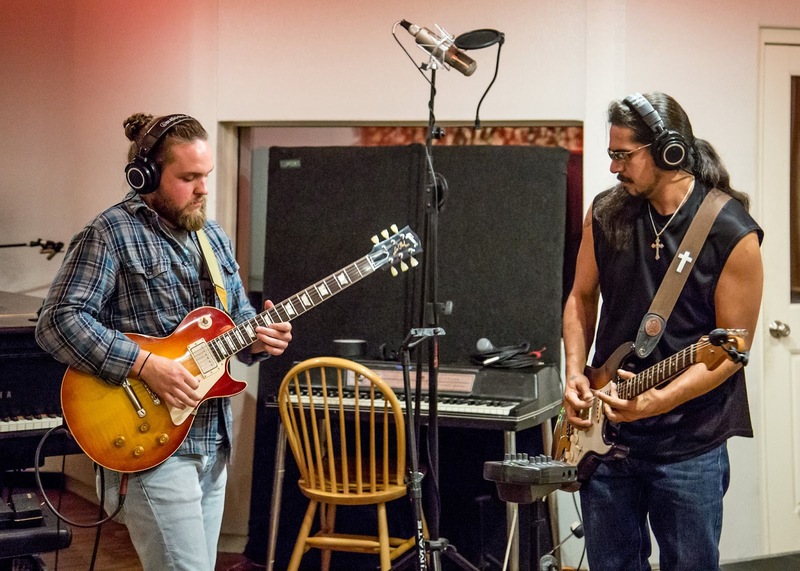 Taylor Scott, left, and Henry Garza, right, of Los Lonely Boys, play in the studio. Q – I know that you've worked with Otis Taylor in the past and it seems like maybe that rubbed off on you on this album. There are a couple parts on this album that kind of sound like something he might do. Do you think that people you have worked with over the years have kind of rubbed off on you? I think that happens whether you mean for it to or not. There's no way to really avoid that if you're all the way in to the music. I toured with Otis internationally for several years pretty much right after I got out of high school. So that was obviously a formative time for me and that music is still very much a part of my life. I don't think was intentional but anytime you spend that much time with certain artists and certain types of music, it's probably going to come out for years to come in one's musical personality. It's sort of part of my makeup now. Q – Did he give you any tips? What do you think you gained from working with him? He definitely didn't give me any tips. He plays things pretty close to the chest. We didn't really have a whole lot of those types of conversations. That doesn't mean I didn't learn anything, but those sorts of conversations never really happened. I learned the power of having a really great band behind you that really knows how to get into the sound you're looking for. He was the first person I worked with as an adult musician who really had that dialed in, which was cool to be a part of. He knew the sounds that he wanted and knew how to draw that out of people. So I learned a lot from him just bandleader wise. Q – Of course Steve Berlin, from the band Los Lobos, produced "All We Have." Did you seek him out? Yeah, we just gave him a copy of one of our earlier records and he was into the writing and everything. So he gave us a shout and said he would do this one. We've been friends for a couple of years now. We started making this record the summer before last. Q – What do you think he brought to the table? Until this record, I've always self-produced, which is cool. But there are a lot of things that you sort of miss because you are wearing a lot of hats at one time. The cool thing about having a good producer is you can kind of lay that in their hands and just do what you do. There has to be trust there. With Steve, the first day we came into the studio together, it was just like fire right away. After we finished one track, it was like, OK, there's trust there, there's mutual respect, and I was able to just sort of lay part of the creative process in his hands because I had already written and arranged the tunes. He kind of helped put a sound to whatever this music is I'm trying to get across. Because it's coming from so many different places for me. And I think that's important. He just had a way of packaging it to where it all sort of made sense and was fluid and seemed like one big thing rather than a bunch of little things. That's probably what I am most proud of as far as working with him on this one. Q – You talked about your music encompassing different genres. How would you describe your music? I kind of let people decide for themselves. Right now, it's somewhere sort of in the Americana world. There's funk and soul in there and rock. But it's hard for me to just narrow it down, which is why I just leave that to the management or whatever. There's so much music and it's all in there somehow. I suppose it's sort of like an Americana record in that it draws from all those influences. Q – Who would you say your biggest influences are? Guitar wise, I'm super into all the great blues players, you know, Hubert Sumlin, Freddie King, those sorts of people. The blues stuff is super important to me as far as my approach guitar wise. As a writer, I'm super into Townes Van Zandt, Guy Clark and people like that. I'm also a Tom Waits fan. Vocally, I'm a huge Ray Charles fan. David Hidalgo is like one of my favorite living vocalists and has become a huge influence too. I feel like he gets passed over in that conversation unjustly. I'm super into Allen Toussaint, especially production wise and writing wise. Q – There also seems to be some Allman Brothers influence in your music. The Allman Brothers Band is probably my favorite band of all time. Q – You moved out to Denver four years ago. You are originally from St. Louis, I understand. St. Louis and then Wyoming. I really grew up in Wyoming, so I'm more so from there. There's a little bit of that sound in there, too, if you're looking for it. Q – As far as wanting to move to Denver, what was the reason to make the move to Denver? I grew up two hours north of here in a small town in Wyoming, just across the state line. From the time that I started playing, I've been coming down here to meet musicians, to go to shows and to play shows because the town I loved in didn't have much to offer longevity wise. And I had already made all these relationships with all these great musicians in Denver. So it was sort of just a natural jump. There was nothing left for me in Cheyenne, Wyoming. And I can be close to my family, which is important to me. This is home for now, and I like it a lot. Q – So you wanted to be part of a bigger music scene? Yeah, yeah. I already knew a bunch of great musicians. My whole band was from here. I just wanted to be in a city that's a little more diverse, with a little more going on. And Denver was sort of the natural choice, proximity wise. And now I've found this really wonderfully diverse music scene. There's a bunch of great jazz players here, which is probably the coolest of the music scenes here. But I don't know if I'll be here forever. I'm glad to be here now, though. Q – So what should people expect when you are in Chicago. Are you going to be concentrating on the new album? We'll play a bunch of stuff from the new album, of course. But the thing with us is that you never quite know what you're going to get as far as setlists go. We like to throw in surprises, you know. The other thing is that we're always working it out on stage and trying to shape it differently and improve and see where things go. We are very improvisational. The guys in the band can go any direction at any time. So I don't know exactly where we are going to go that night. But I know we're play a bunch of stuff from the record and then we'll improvise and see how the room feels. Q – Do you take audience requests? Sometimes, if they're our songs, which happens now, finally. Q – That must be a pretty cool feeling, that people will yell out that they want to hear one of your songs. Yeah, it is man. We were on the road a few weeks ago, and we were in all these random places – St. Louis, Kansas City, northwest Arkansas and in all those places and more, people were coming up and saying, "Play this song off the new record" or whatever and the record had just come out. So that was a super cool feeling, being in northwest Arkansas, where I have never played before, and having somebody come up and request tunes from the new record. Whether it is through her school, Clinard Dance Studio, or through her Flamenco Quartet Project, Wendy Clinard continues to find ways to keep flamenco fresh and exciting. The Flamenco Quartet Project will perform March 5 at SPACE, 1245 Chicago Ave., Evanston, as part of the Chicago Flamenco Festival, a multi-week festival celebrating Flamenco music and dance, running through March 14. The show starts at 7:30 p.m. and tickets range from $15 to $25, available at eventbrite.com. I had the chance to talk to Clinard about the show. Q – Great talking to you again. The Flamenco Quartet Project will be part of the Chicago Flamenco Festival. What does it mean to you to be part of this year's festival? 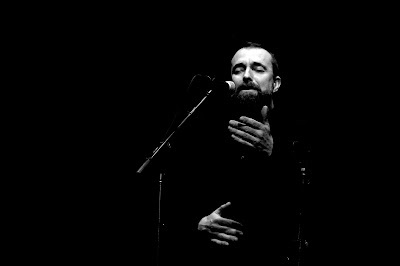 We are pleased to be part of a festival with so many great flamenco artists. 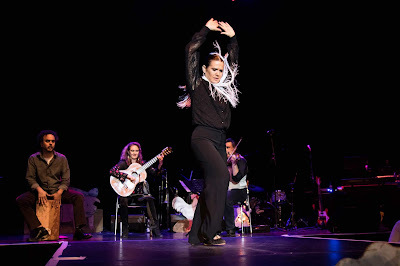 Moreover, our Chicago area public has a chance to see, in a concentrated time frame, all the various ways artists are creating with this art form and to see groups like ours that are exploring new exponents of the traditional aspect of flamenco, like it was written yesterday, in Chicago. Q – What do you have planned for the Flamenco Quartet Project's show at SPACE? What should people expect? Performing period is a treat and performing in a new place/venue is very exciting to us because we get to interact with a combination of an old and new audience members. The Flamenco Quartet Project is rooted in something very specific, flamenco, but the way we are working with the form is to challenge the capacity of that specific vocabulary unique to living in Chicago. How do we do that? By using world-influenced sounds; by introducing unique instrumentation to the form and by harnessing the unique sensibilities of the participants. We have intentionally kept the fourth role of the quartet a "visiting artist role," which means that some of our original pieces are recomposed each time a new guest joins us and that is helping us keep the pieces evolving and improvisational. For the SPACE show, we will be joined by a singer and flute player from Seville, Alfonso Cid, and Antonio Andujar, a caja player from Madrid. Q – You formed Flamenco Quartet Project in 2014. In forming the group, what were your goals and do you think you have accomplished them? The Flamenco Quartet Project mobilizes the "flamenco structure" (the interplay between guitarist, singer and dancer). This structure is a great way to organize the unique instrumentation (i.e. the violin) and world-informed backgrounds of the participants (Arabic, Balkan and Spanish classical). What peaks my interest is the "global" presence of the form over that last decade. As flamenco is studied and practiced in other countries and influenced by other music and dance forms, flamenco is evolving and able to tell many stories by many different artists. Dance forms like ballet and modern have been able to do this and now flamenco too can be experienced by many interpreters. The vocabulary and capacity of the form is so great that it can talk about the various ways we exist and what we go through unique to each artists (i.e. their time period, place and geography). So this was my goal on the onset and I think we have accomplished that. Q – How did the musicians in the Flamenco Quartet Project come together? We had all worked together on different projects and through those experiences found that we all shared equal parts camaraderie and artistic excellence with a fierce curiosity about music and dance exploration. We are a “quartet," so listening to each other in a more minimal, clear way is possible and so is finding dynamics and textures that give way to other spontaneous ideas that inform the compositions. If there are too many cooks in the kitchen, it's sometimes hard to discern the various sounds and ingredients. With the four of us, we can handle the four qualities of sounds and trade them in and out, on and off with more ease, which allows us to be more on point about listening to each other in the general sense. Q – Do you think the group has continued to change and evolve over the years? Most definitely. The time element plays into everything; our old compositions, new works and the revolving "guests" have reshaped our pieces and given birth to new pieces. Over time we've learned about how we work together so we assign parts of the old or new pieces to different ensemble members. There's a real ease in creating; it happens naturally and there is always a surplus of ideas to draw from. Q – Of course, Clinard Dance Studio is celebrating its 20th anniversary this year. Has it exceeded your expectations? Where do you see it going from here? Yes, it has exceeded my expectations and that is not synonymous with “bigger" or “prestige," etc. It has meant, looking back, a steady dedication to music and dance making. There is such a joy to creating together and we've become more aware of this and that's why we've contracted a little over time; “downsized," I guess you could say; smaller projects with discovery it the helm. Where do I see it going from here? [We aim to] keep creating and connecting with people. That changes every week or month, but I've been listening to jazz pianist Robert Glasper and I've found all kinds of new footwork and grooves. I've even found new mechanics in my footwork as a result. He does these “one mic/one takes" and I think it would be cool to do that "one shot” together with no rehearsal and see what happens. 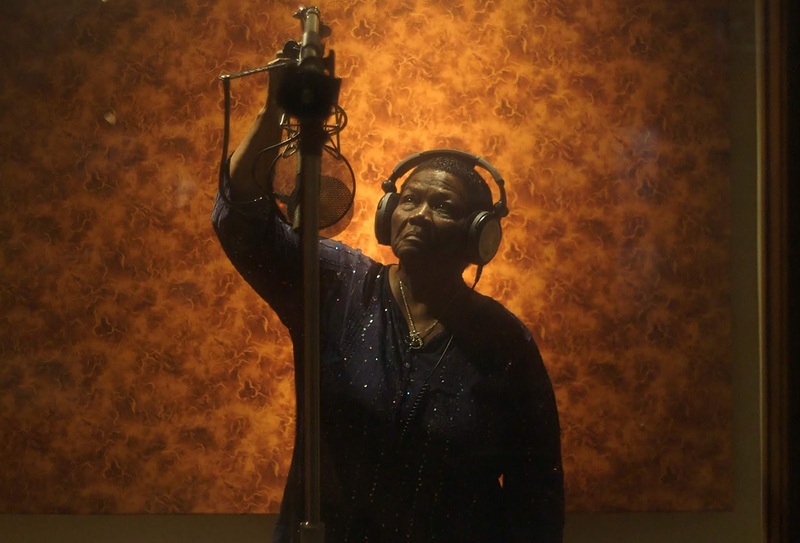 Chicago blues legend Mary Lane is finally getting the attention that she deserves. The 83-year-old, one of the last blues musicians to make the Great Migration from the rural South, is squarely in the spotlight these days. She is the subject of a new documentary on her life, "I Can Only Be Mary Lane," and on March 8, "Travelin' Woman" – her first album in 20 years – will be released on the newly launched Women of the Blues record label. "Traveling Woman" was produced by Grammy-winner Jim Tullio and features appearances by all-star musicians like Billy Branch, Corky Siegel, late Howlin' Wolf sideman Eddie Shaw, guitarist Dave Specter and saxophone legend Gene "Daddy G" Barge. There will be a screening of "I Can Only Be Mary Lane" at 8 p.m. Feb. 21 at FitzGerald's, 6615 Roosevelt Road, Berwyn, followed by a performance by Lane and the No Static Blues Band. Tickets are $10, $15 at the door, available at ticketweb.com. Lane also will perform at 9:30 p.m. March 9 at Buddy Guy's Legends, 700 S. Wabash Ave., Chicago, as part of a CD release party for "Travelin' Woman." Andre Taylor will also perform. Tickets are $20, available at buddyguy.com. Q – The documentary on your life, "I Can Only Be Mary Lane," actually premiered on your 83rd birthday last November at Buddy Guy's Legends. Was that pretty special to you? Q – So the fact that someone wanted to make a documentary about you, was that humbling, that someone wanted to put you in the spotlight like that? Q – And you have a new CD, "Traveling Woman," that will come out on March 8 on the newly launched Women of the Blues record label. This is only your second album. Your debut album, "Appointment With The Blues," was released in 1997 when you were 62 years old. And now you're 83. Is this album long overdue, you think? Q – The CD is called "Traveling Woman." Is that an appropriate title you think for the CD? On its debut album, "Soulophone," Chicago Soul Jazz Collective breathes new energy and life into jazz classics like "The 'In' Crowd" and "The Cat." To celebrate the release of the album, the group will perform a free show at 8:30 p.m. Feb. 13 at Wire, 6815 Roosevelt Road, Berwyn. The show is sponsored by WDCB 90.9 FM and doors open at 8 p.m. I had the chance to talk to Chicago Soul Jazz Collective co-founder and saxophone player John Fournier about the album. Q – Great talking to you again. We last spoke in 2014 when your band "Everybody Says Yes" was about to release its second EP. Now you have this new group, the Chicago Soul Jazz Collective. How did the idea for the group come about? I had the idea to put together an ensemble like this for a long time but did not want to try it without the right partner on trumpet. Marques Carroll is a jazz trumpet master and when he came along and was equally interested I knew it was time to start this group. Q – How did you go about choosing the songs for “Soulophone"? I gathered maybe 25 tunes from the soul jazz era that I thought might work and we began rehearsing and performing them. These tunes on the record are the ones that seemed to flow best. I was looking for tunes that grooved hard and had an uplifting feeling. Q – In performing the songs, what does the band hope to bring to them? We attack these songs with passion. We want to feel the groove and emotion in every fiber of our beings. If we feel it, it is there to share and we hope folks will join us and feel it along with us. Q – Do you think you bring the band's own identity to each song? As it is a jazz combo and is an improvisational art at its essence, this is music that will only sound this way when these six musicians are performing. If you swap out one guy, it changes the sound of the ensemble. We feel like we have a definite concept of how to approach, arrange and perform Soul Jazz. The umbrella of every genre of music is large and Soul Jazz is no different. 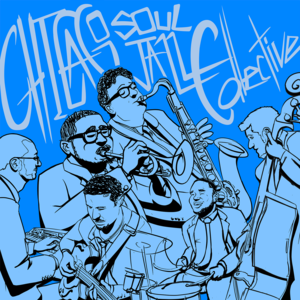 Chicago Soul Jazz Collective has mapped out our own little corner under the Soul Jazz umbrella and we have our own unique take and sound within the fabric of the style. Q – I understand that the recordings for the album were cut live. Was it a lot of fun making this album and were you trying to capture that feeling on the CD? Personally, I believe all jazz records should be cut live. Roll the tape, count off the tune and let the players loose. There is a vibe, sound and groove that this band brings to the table every time we play and it was a great joy recording it and hearing it back for ourselves. As we cut it live, it contains great moments and a few warts but I think that is what a jazz record should be and ours is most definitely. Q – What do you think each member brings to the table? I understand that you and trumpet player Marques Carroll bonded over your love of early '60s soul jazz. Marques and I began the group. I took on the role of gathering material and doing the logistics and leg work required. Marques shaped the sound of the group by asking players to join. Andrew Vogt and Keith Brooks play bass and drums and without their relentless and incredible grooves we would not have much of a band. Marcin Fahmy and Kyle Asche fill out the rhythm section on piano and guitar and both of these men are veterans of the jazz scene and have an uncanny and instinctive understanding of how to approach this style. Why some groups of musicians have a spark when they perform together and other equally talented groups do not is a mystery of chemistry I suppose but when the 6 of us play together, this band is undeniable. Q – Are you trying to give people who buy the CD a musical history lesson? Do you hope that people will want to find out the origin of each song after buying the album? When I hear soul jazz played, it gives my spirit an enormous lift. I can remember the first time I heard some of these tunes when I was a little boy and it was the most exciting sound. Goose bumps central if you know what I mean. I feel like I personally need that lift in my life as the state of the world brings me down lately. So my first goal in playing this music is to lift my own spirits. Something playing this music never fails to accomplish. Past that, I think there is a style of Soul Jazz that we play that is not really performed much live and Chicago Soul Jazz Collective is supplying a sound and interpretation unlike what is offered across the jazz scene today. Q – I understand the band is getting ready to record the second album, which will be a blend of classic songs along with original songs. What should people expect from the new album? We will have a few chestnuts we have discovered from the early 1960s that will expose people to some great seemingly forgotten compositions. We have begun to take the sound of the ensemble and apply it to our own original material and we have been performing those tunes in our live act and really digging it. The overall sound of the ensemble is improving as we go along so I am very excited to get back in the studio for round 2. Q – As far as other musical projects, what else are you working on these days? Is this band your main priority? All of the guys in the Collective participate in lots of projects as leaders and sidemen. We created this band and recorded it as a labor of love and we have been thrilled by the overwhelmingly positive reception the record has received. It seems our desire to lift our spirits through this soulful music is shared by others and we are humbled and honored to have the opportunity to play it. Alligator Records President Bruce Iglauer has described Lindsay Beaver as being like the "love child of Amy Winehouse and Little Richard." Those influences and others can be heard on "Tough As Love," her debut album for the Chicago-based label. Beaver is a force to be reckoned with on the album, her soulful and passionate vocals dominating every song. 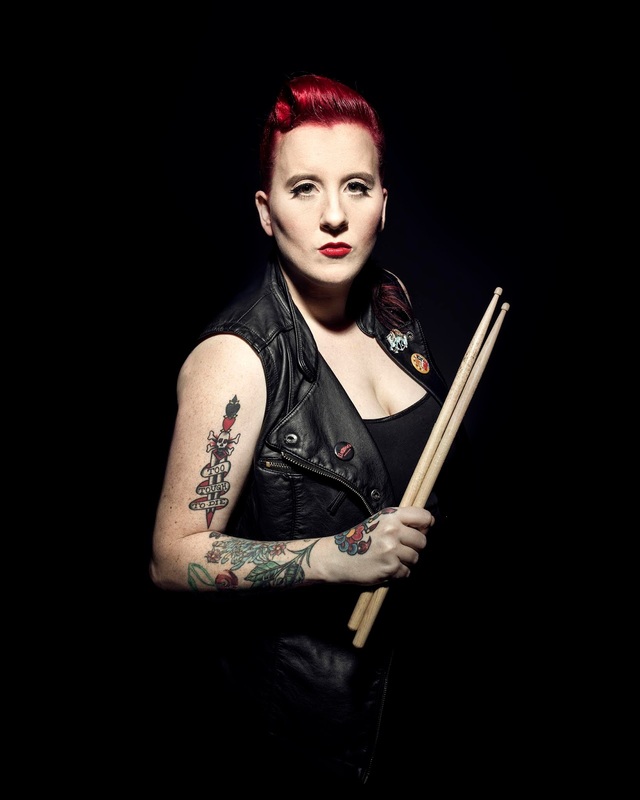 Beaver also does double duty as she keeps the beat as the band's drummer. Originally from Halifax, Nova Scotia, Beaver is living in Austin, Texas these days. "Tough As Love," which continues to ride high on the blues charts, also features the talents of such guest artists Marcia Ball, Dennis Gruenling, Laura Chavez, Eve Monsees and Sax Gordon. She is expected to perform extensively from the album during her Feb. 7 show at Hey Nonny, 10 S. Vail Ave., Arlington Heights. The show starts at 7:30 p.m. and tickets range from $15 to $30, available at heynonny.com. I had the chance to talk to Beaver about the upcoming show. Q – Alligator Records has a great reputation and so many great artists have appeared on the label over the years. What made you want to sign with Alligator Records in the first place? I approached them with the hopes they could kind of help me grow my career, especially since they tend to work with more established artists. I'm glad they're kind of taking a chance with me, and I'm working really hard to not let them down. Q – They've had some great things to say about you. Alligator Records President Bruce Iglauer said you were like the "love child of Amy Winehouse and Little Richard." Does that make you feel good, to hear a comment like that? Yeah, I think it's really high praise. Those are two of my favorite artists. I do have a different sort of edge. We can do full blues in a set and also do something a little more soulful. And I'm glad that Alligator Records can embrace that. It doesn't have to be so particular and traditional all the time. Q – In making "Tough As Love," what were your goals and do you think you accomplished them? I had been in a band for a long time and I did a lot of the songwriting, most of it, especially towards the end of my old group. I had played with the same people for a number of years. One of the main things I wanted to do with this record was to be able to add guests and people that I admire and just to record with people who supported me throughout the years. Brad Stivers, who is my guitar player in my band now, we've been friends for years, but I had never gotten to work with these people. I wanted to be in front and not hide behind the band, really being the front person. And I think we got there with that, too. It's definitely been a transformation of sorts. Q – I know that there aren't many female drummers around and certainly not many blues female drummers. Do you think you are paving the way? I suppose to some extent, yes. It's true, I guess there aren't a lot of female blues drummers. I don't know. I've always sort of just done things. I don't know that I think too far ahead of that. I think there is a need for very strong women musicians, not just because they're women, but because they're great at what they do. And that's what I strive for, to not just be the best girl drummer, but to be the best drummer. We need to be the best out there and not just the best of our category. Q – I understand that you took up drumming by necessity. Your drummer didn’t want to keep bringing his drums over to your house for rehearsal and then your dad scraped together enough money to buy a drum set to keep in the house. Yeah, that's what started the drumming for sure. And then it was hard to find people who knew how to play the blues and knew how to shuffle and knew all that stuff. I didn't want to teach someone how to shuffle and I didn't want to give someone a record collection and hope they got it. So I thought I might as well do both and make a thing of it. And I'm glad, because I like doing it. Q – And you know what you want, so you don't have to explain it to anyone else. As a child, I understand you discovered hip hop before blues music and wanted to know more about how hip hop came about. Is that kind of how you got into blues music? Yeah, absolutely. I lived in a neighborhood where I was fortunate enough to be exposed to a lot of really good hip hop and R&B music. It certainly paved the way. Q – You produced "Tough As Love" and you produced three of your past albums. Is that a case of just wanting to do it yourself, like wanting to be the drummer and wanting to be the singer. Is that another case of taking the bull by its horns and just doing it? I think when you are used to leading a band night after night, when you go into the studio, you have the same mindset. But Bruce Iglauer and Stuart Sullivan – it was his studio and he was the engineer – they had a lot of input. I feel like I would be doing them a disservice by saying I did it alone. Especially when it came to the mixing. They handled a lot of it. Q – Why did you choose to move to Austin? There is just so much to see and everyone tours through Austin. The bar is very high and when you are surrounded by that, it makes you a better musician. You are exposed to so much talent and so much good music. Q – So when people come out to see you at Hey Nonny, what should people expect? Are you going to be concentrating on the new album or are you also going to be playing songs from your other albums? I don't play anything off the old records because that band's kind of defunct. I'll be playing pretty much everything off the new record and I'll be playing some new things I'm working on and some choice cover songs that I like. I try to find things that either I really love or a song that's not covered often or not well known. I try to be really careful and not repeat what others have done before me. Q – "Tough As Love" has received a lot of critical and commercial acclaim. How has that affected you? When you put something out that's really good, your shows need to be just as good. You need to have your stuff together. Through my whole career, I've tried to do my absolute best at every show. Q – That's a good attitude to have, because it seems like a lot of musicians just rest on their laurels. I think it's easy to get comfortable and I don't ever want to be comfortable. If I am ever at a point where I think I have it all figured out, I need to readjust my thinking. A music school set to open in February in Northfield aims to connect to the community through music. 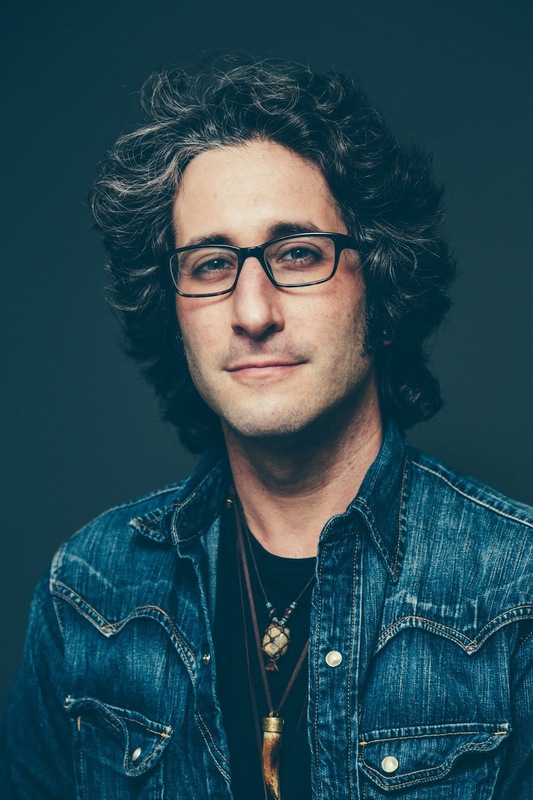 Michael Poupko, director and teacher at the North Shore Music Institute for eight years, will use his experience to open a new school and live music agency for events. Our Music Institute will serve the North Shore suburbs of Winnetka, Northfield, Northbrook, Glenview, Kenilworth, Wilmette, Glencoe and Highland Park. OMI, located at 400 Central Ave. in Northfield, will hold an opening reception on Feb. 1. I had chance to talk to Poupko about his vision for OMI. Q – Great to talk to you. You will be launching Our Music Institute in February. How did you come up with the idea for the school and is this just the right time to do it? Thanks a lot for the interest and for taking the time to talk to me. In a way, I came up with the idea for OMI over the past twenty years. You could even say 30 years! 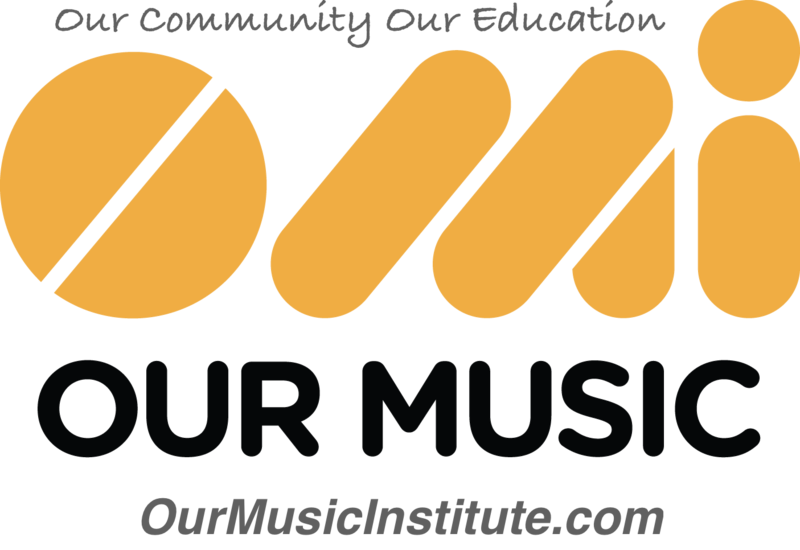 OMI represents a coming together of just about everything I’ve picked up throughout my life as a musician, music teacher, music school director and business owner. I’m putting it all into this to promote music education and community for customers, students and staff, alike. In this age of technology, people tend to do more things on their own and often times the sense of “we’re all in this together” gets lost. That’s an important concept for me. Hence the name, Our Music Institute. Q – How will Our Music Institute be different from other music schools? What are some of the main things you want to convey to students through Our Music Institute? Aside from having an unparalleled staff of teachers in the area, Our Music is different form other music schools in that we try to be forward thinking while keeping our roots strong. We’re offering traditional music lessons as well as DJ classes, family music classes, music technology classes and collaborations with schools and local park districts. Also, I really want students to feel part of something. It’s easy to go on YouTube and learn lots about playing your instrument, but music is a conversation and a way for us all to connect. I see OMI as a vehicle for encouraging a sense of community within the context of music. 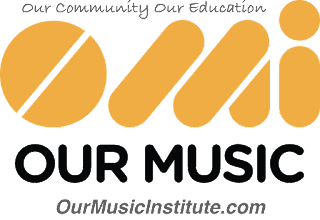 Q – Our Music Institute also will be a live music agency. Is it your hope that your students will be able to take what they have learned to a live music setting? I've been involved with live music in all kinds of settings and situations for more than 20 years at this point. I know the business and I’ve collected a vast network of top-level musicians and performers suitable for virtually all scenarios. I’m really excited about advocating for and providing opportunities for professional musicians and students, alike. Students will have opportunities to perform live and sort of graduate to professional gigs if they’re interested and ready. Q – You were director and teacher at the North Shore Music Institute for eight years. What did you learn from the experience and how will you be taking what you learned into this new school? I’d say that the biggest things I’ve learned as director of a community music school have to do with the value of connecting with people and community. It means everything. Q – I understand that Our Music Institute will strive to be part of the community. In what ways will you be doing that? OMI will be connected to the community in many ways. It’s very important to me. We’ll be offering classes and live music collaborations with various park districts and community organizations. I’m also work closely with the community as a board member of the Winnetka Northfield Chamber of Commerce. Q – Aside from Our Music Institute, you are a working musician. What can people expect this year from your various musical projects? I’ve been a working as a musician for more than 20 years and that aspect of my life is continually expanding. In the near future, I will definitely be hyper-focused on making Our Music Institute the best it can be for the community and the professionals musicians involved.